Minneopa Falls, MN. Photo by Jack Madsen. 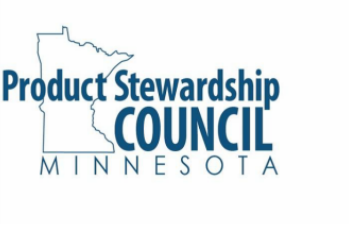 ﻿Mission Statement: To protect Minnesota's economic, public and environmental health by partnering with businesses, government, citizens and other stakeholders to plan and implement product stewardship policies. Role: Maintain vision of environmental protection; research and develop product stewardship concepts and strategies for others to use; provide feedback where requested or appropriate; connect a wide spectrum of parties involved with aspects of product stewardship to develop their roles. The MN PSC is a registered Minnesota non-profit incorporated in the State of Minnesota in 2012 for the purposes as specified in Section 501(c)(3) of the Internal Revenue Code. The organization has a monthly call on the second Thursday of each month, and an annual membership meeting in the fall. Contact a Director or e-mail beresponsiblemn@gmail.com to get the call-in information. Members of the waste community began discussing the issue of product stewardship decades ago. They gathered in 2009 to discuss forming an organization focused specifically on the responsibility of products from beginning to end (or cradle to grave). Since the grave or disposal part often falls to local government, many of those in the discussion were government staff. The organization always welcomes and appreciates input from anyone, anywhere at anytime, especially when it comes with an ultimate intent to protect the interests of our environment. We understand that we are not all experts at what constitutes the best interests of all aspects of the Earth and depend upon the experts to contribute to the conversation as we move forward. Welcome to the conversation.